The Habs, Lightning and Predators could be up to something; is Fleury on the move after all? And who's getting Shattenkirk? That and more in the Rumour Report. With losses over the weekend, you have to think the Lightning, Flyers and Sabres are inching closer to seller territory. All three teams have several key players to move, and their addition to the market could spice up the trade deadline. The declared sellers so far: Detroit, Arizona, Colorado, Carolina, New Jersey, Dallas and Vancouver. 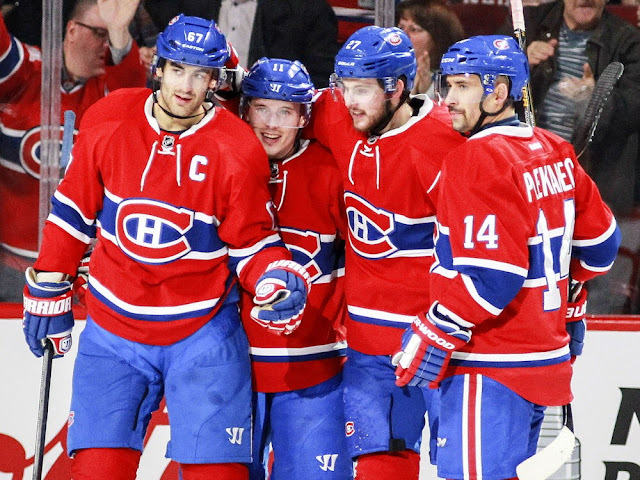 The Canadiens might be up to something big. Rumours have swirled in Montreal all season, with names such as Max Pacioretty, Alex Galchenyuk, Greg Pateryn and Tomas Plekanec coming up repeatedly. Is Marc-Andre Fleury a deadline mover? Recent reports suggested he was likely to stay in Pittsburgh for the year, but some believe he's still very much in play. The Stars, Flames and Blues are rumoured possibilities. Are the Lightning and Predators talking trade? They've sure been spending a lot of time in each other's buildings. The Preds are buyers and the Lightning are leaning towards selling...Brian Boyle perhaps? So, who's getting Kevin Shattenkirk? Though the Rangers seem like the odds-on favourite in the summer, but his trade deadline relocation is still a mystery. Barring a darkhorse coming out of nowhere, it's probably one of the Rangers, Sharks, Oilers, Leafs, Bruins, Ducks, Penguins or Capitals. Just speculating here, but a team like the Islanders could really use Shattenkirk's powerplay abilities. Any team wanting to acquire Patrick Sharp is going to have to do some convincing first given his no-trade clause. Though not likely able to pull it off cap-wise, the Blackhawks would obviously be his preference. After an exciting Friday on the trade front, things got relatively quiet on Saturday. It's the calm before the storm...the floodgates could open at any moment. Stay tuned on Facebook and Twitter. Rumour Report: Goalie market ready to explode? Rumour Report: Kane, Duclair next to go?